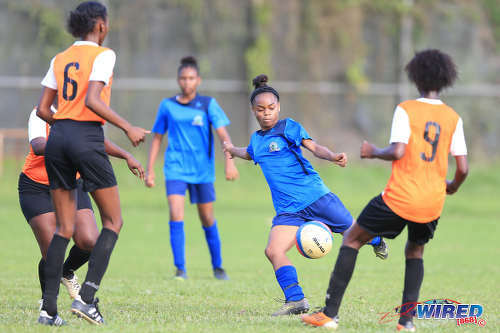 Standing at just 5 foot tall, Five Rivers Secondary striker Mia Mitchell has football in her blood, as she follows in the footsteps of her father, Devon Mitchell, and uncle, Carlyle Mitchell, who were both Trinidad and Tobago national players. 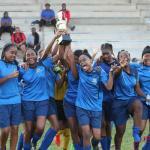 Photo: Five Rivers Secondary attacker Mia Mitchell (centre) volleys towards goal during East Zone Intercol final action against Valencia Secondary in St Augustine on 20 November 2018. What led you to football? 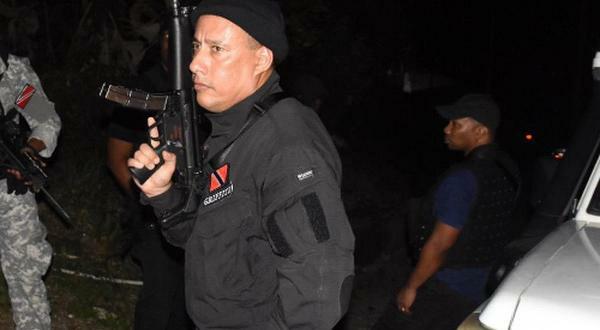 My father Devon Mitchell, who played with San Juan Jabloteh and the Trinidad and Tobago National Team as well as my uncle Carlyle Mitchell, who also played for the National Team. 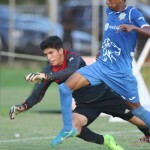 I started playing for Five Rivers at 14 and I also play for St Augustine FC. I usually train three days a week. I tried out for the National Under-16 team in 2017 but I was not selected. 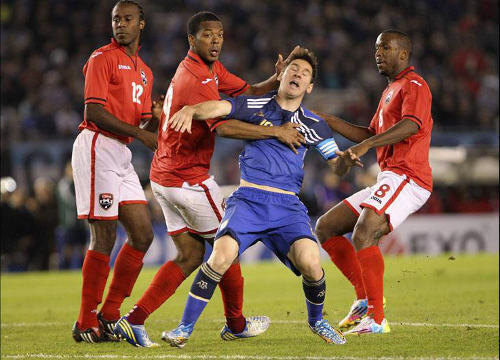 Photo: Trinidad and Tobago players (from left to right) Yohance Marshall, Carlyle Mitchell and Khaleem Hyland try to reign in Argentina star Lionel Messi (centre) during an international friendly in Buenos Aires on 4 June 2014. I am a tomboy. I am a bit rough as well since I usually play football games with boys in the area. 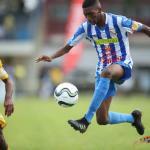 When I finish school, I want to go further in football. 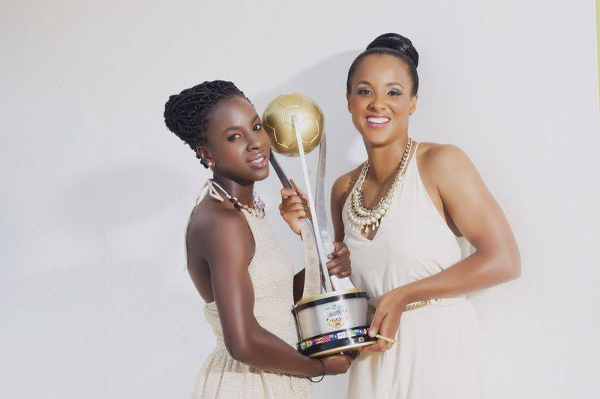 My dream is to one day play for the National Team. In terms of studies, I would either like to study Languages or be a flight attendant. Success for me as a player would be getting a scholarship and travelling the world to play football games. 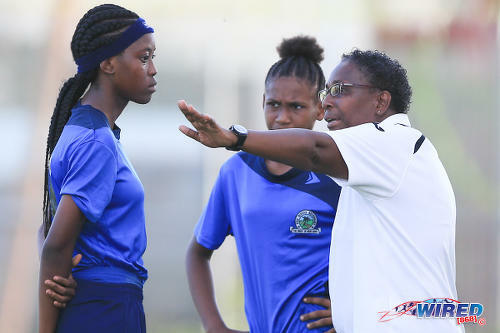 Photo: Five Rivers Secondary coach Desiree Sarjeant (right) has a word with forward Jada Gaskin (left) during East Zone Intercol final action against Valencia Secondary in St Augustine on 20 November 2018. My favourite player is Eden Hazard because he’s strong on the ball and I like his competitiveness. My favourite team is Chelsea. What was your best moment in football so far and what was your worst? I enjoy all my time playing football but my best moment was a game against St Augustine [Secondary] when I scored five goals. 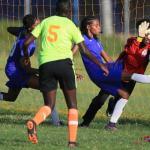 My worst was in the [East Zone Intercol] final against Valencia when I threw away a goal in front of the post. 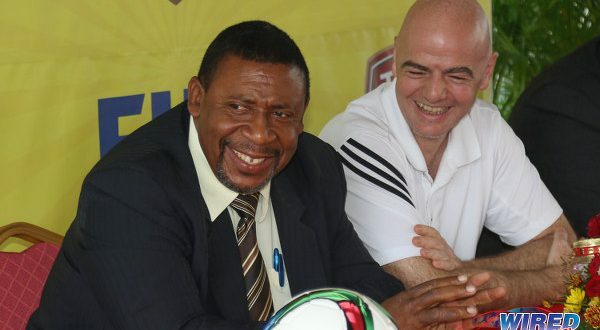 What would you say to young aspiring footballers? I would tell them to keep pushing themselves, train regularly and never give up. I think a good football player must have a positive attitude and be disciplined. 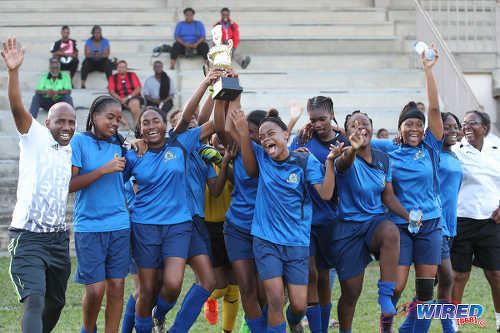 Photo: Five Rivers Secondary head coach Desiree Sarjeant (far right) and assistant coach Mergil Rosales (far left) celebrate with their players after their 4-1 win over Valencia Secondary in the East Zone Intercol final at the St Augustine Secondary school ground on 20 November 2018.